Delivery from £3.95 to United Kingdom in 10 - 20 working days. Chopping board made from English grown Ash with Oak ring and Olive Pot. 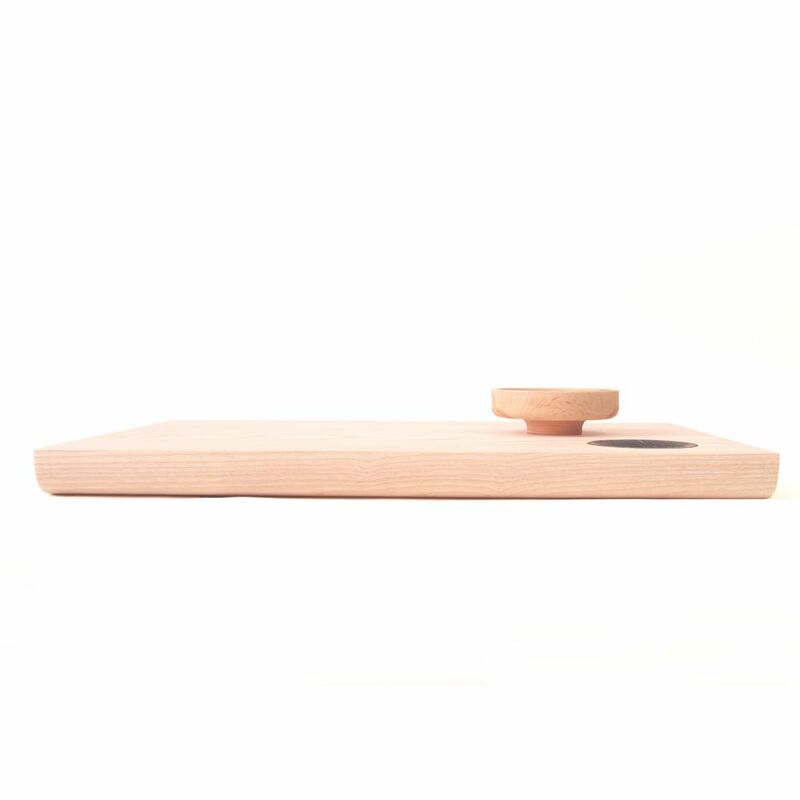 Each size board comes with one Beech Olive pot finished with food safe oil to transform into serving platter to take to the table. Pot is suitable for both dry and wet goods. Natural Ash finish with oiled oak ring as standard, also available with charred oak detail. Due to the unique nature of these timbers, variation in grain may occur.